Michele Tafoya is the two times Emmy awards winning Sportscaster.She is well known for her association with CBS Sports, ABC, ESPN, and NBC Sports. 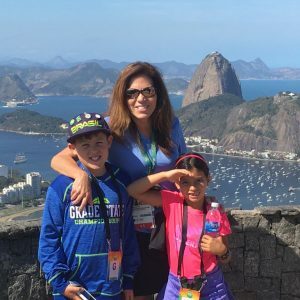 Tafoya is living a blissful life with her family. Born as Michele Tafoya Vandersall was born on December 17, 1964, in Manhattan Beach, California, US. She belongs to the Multicultural ethical background. Michele Tafoya graduated from the University of California’ in 1988 majoring in mass communications. Then, she went to earn her master’s degree from ‘Uniersity of Southern California’ where she majored in business administration in 1991. Michele Tafoya began her journalism career working as a host and reporter for KFAN-AM in Minneapolis.She then served in Charlotte for WAQS-AM. While in Charlotte, Tafoya used the name Mickey Conley to address herself. Then she used the name Mickey Conley to address herself. Soon, she graced the first woman analyst to call UNC-Charlotte men’s basketball games. Michele Tafoya then began working reporter as well as a play-by-play analyst for Women’s Big Ten basketball and volleyball for the 'Midwest Sports Channel'. She also served for WCCO-TV as a sports anchor and reporter. Then in September 1994, Tafoya joined CBS television network’s CBS Sports, serving as a reporter and host.Michele Tafoya also served as a host of AT The Half and as an exclusive reporter for college football games. Tafoya made her on-air debut on 1994 U.S. Open Tennis Championship.Two years later she went on to create magic at CBS Network when she became the first woman to call television play-by-play of a NCAA tournament game. In 1997, she gained Gracie Awards for “Outstanding Achievements by an Individual ON-Air TV Personality” her excellent play-by-play calling of WNBA games on the Lifetime Television. While still with the network she worked as a reporter for the coverage of NFL College Football together with the 1998 National Championship Orange Bowl. She was also the night co-host of the 1998 Nagano Olympics in Nagano. She has hosted various shows including CBS NCAA Tournament Selection coverage show, Goodwill Games and US Open Tennis Championship Coverage. In 2000, Michele affiliated with ABC Sports and ESPN. Her career went on to the top while working for ‘ ABC Sports’ and ESPN. She has also worked as sideline reporter for the ESPN's show “Monday Night Football”. In 2009, she was hired as radio show host of ‘WCCO-AM”. She served as a radio host for three years. In 2011, she was appointed as a new sideline reporter for NBC’S ‘Sunday Night Football’. Michele is serving as sideline reporter for ‘NCB Sunday Night Football’. Michele won her first ‘Emmy Award’ in the category of Outstanding Sports personality-Sports reporter. After two years of that in 2014, she was again awarded same ‘Emmy Awards’. During her Journalism career, Michele has been successful to earn and recognition. She has garnered a large number of fans who can follow her recent news and updates on her Twitter account. She is married to Mark Vandersall in 2000. Her husband, Mark is a Minneapolis-based financial advisor. When they got married, Tafoya changed her legal name to Michele Tafoya Vandersall, but still goes by her maiden name professionally. 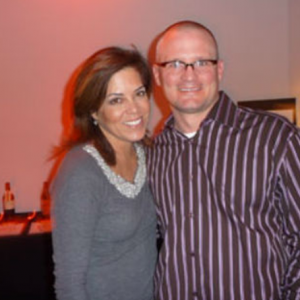 In an interview with ModernMom.com, Tafoya said she lost four babies to miscarriage before “miraculously” getting pregnant at the age of 40. Michele along with her husband made a decision of adopting a baby girl in 2007. At present, Michele is living a happy married life with her husband and children in Edina, Minnesota. Michele Tafoya is one of the well-known journalists. She is also considered to be a well-paid journalist by NBC Sports, The sportscaster Michele Tafoya has accumulated total net worth amount of $2 million dollars.